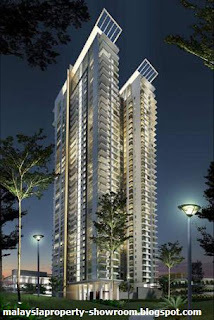 Northshore Gardens @ Desa Parkcity is a high-end condominium project comprises a 40-storey condominium block with a total of 274 units. The unit size ranging from approximately 900 and 2,500 sq.ft. and there are few types of layout - studio, 2+1, 3+1, 4+1 rooms and penthouses equipped with a private pool each. Northshore Gardens @ Desa Parkcity, a lake-fronting in the high-rated Central Park, has a combination of lush parkland, restaurants and shops, and Residents' Clubhouse. The new high-end condominium Northshore Gardens in Desa Parkcity will be one of the most prestigious neighborhoods in Kuala Lumpur. Built-up Area : from 900 - 2,500 sq.ft.